There has been lots of inspiration online lately. Hope you enjoy it as much as I do. Click the photos for the links! 1. Adorable string quilt! Not sure what I like more - the design or the colors? 2. 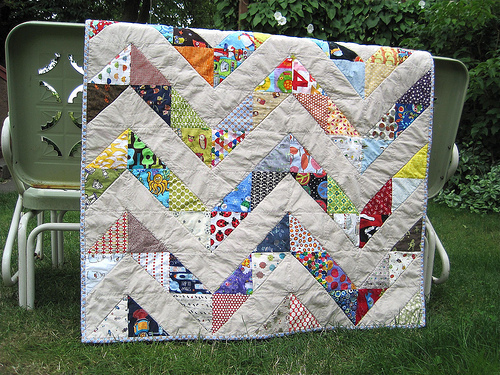 This great quilt comes with a tutorial. Make sure to click on this one! 3. I like the variety but yet simplicity in the squares in this one! 4. 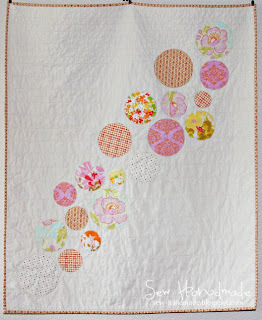 Circles on quilts scare me, but this looks well worth rising above that fear! 5. I'm starting to think that Susan Weinroth is my color twin. LOVE this color combo too! 6. I love the retro vibe of these fabrics and the pattern is so cute!